Imagine that you are the best at your job amongst your current peers. You’re the “best” not only in terms of intangibles or generalities, but as defined by results and recognition. How should you be rewarded for your performance and effort? What would be your expectations from a compensation and commitment standpoint? In an ideal and fair world, the “best” would receive the highest paycheck and most security. Unfortunately, Chicago Bulls head coach Tom Thibodeau, who could qualify as the “best” in the NBA, doesn’t live in such a utopian society. Coach “Thibs” should be one of the richest coaches in basketball and the Bulls’ sideline leader for years to come. Instead, he remains a “lame duck” with only one year remaining on his contract and an extension still pending from his employer. Sure, the Bulls front office has previously assured the media that a long-term commitment to Thibs is a goal and priority. However, the extended duration of their contract negotiations is worrisome for such an obvious decision. The delay and uncertainty of the deal is yet another disgrace for an organization already stigmatized as cheap and disloyal. The Bulls have no excuse to hold out on an agreement with arguably the best coach in the league. 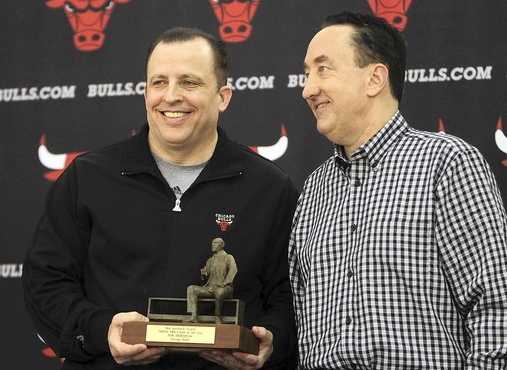 Coach Thibs’ accomplishments during his 2 years in Chicago are unparalleled. Since October 2010, Thibs has led the Bulls to two consecutive overall #1 playoff seeds by posting the best NBA regular season record each year. Not only did Thibs win more games than any other coach in the league during this period (112), but he also became the fastest coach to win 100 games in league history (130). Skeptics could try to dismiss Thibs’ coaching success as a product of his players’ all-star & MVP caliber performances. However, Thibs’ feats are even more remarkable considering the injuries that have plagued his roster. The Bulls core of Derrick Rose, Carlos Boozer, Joakim Noah, and Luol Deng have missed a combined 99 regular season games due to injury during the last two seasons. In other words, at least one member of the Bulls top 4 players has been inactive for 67% of the regular seasons. This statistic doesn’t even consider the futility at the starting shooting guard position (Keith Bogans – 2011; Rip Hamilton – 2012). Despite the limited availability and productivity of his players, Coach Thibodeau and his system continue to win. As a validation of his success, Thibs was recognized as the 2010/11 NBA Coach of the Year – an honor he nearly duplicated the following season by finishing second in the (controversial?) voting. Such a repeat distinction would have been another unprecedented achievement in the NBA’s coaching history. Thibs detractors could advise the front office to push the breaks on a generous salary or long-term commitment because he has yet to win a title, much less reach the NBA Finals. This argument already wavers due to the aforementioned injuries, but even with the Bulls at full strength, Thibs is still accomplishing the most with the least. While the rosters of the past 2 years have been undeniably talented, Thibs has operated with only one superstar (Rose) and a few fringe or declining all-stars (Deng, Noah, Boozer) amongst predominant role players. Thibs’ coaching deserves significant praise and credit for Bulls’ victories, especially when you compare his rosters to the abundance of talent under Scott Brooks of the Oklahoma City Thunder and Erik Spoelstra of the Miami Heat. Thibs hasn’t had the luxury of multiple dynamic scorers and play-makers like the two coaches who squared off in last season’s NBA Finals. The injuries and limited talent suggest the consistency and execution of Thib’s system is most responsible for positioning the Bulls as one of the NBA’s elite teams during his coaching reign. This theory is reinforced by the off-season decisions made by management. Although fans recognize the underlying (financial) intent of reconstructing our bench with compatible to marginally worse players, we’re still led to believe that this roster will keep the Bulls competitive. If an interchange of personnel is expected to have a negligible effect on the team, then the implication is that the system works regardless of inputs and variables. As a result, Thib’s outstanding extension is yet another organizational hypocrisy on par with a previous commitment towards basketball decisions. If When NBA journeymen like Kirk Hinrich, Nate Robinson, and Marco Belinelli each rejuvenate their careers as part of the Bulls’ bench under Thib’s guidance, I hope the media acknowledges the winning environment cultivated by Thibs over the acquisition and foresight of the Bulls front office. At this juncture, the only remaining criticism of Thibs is whether his coaching style and contract share too many similarities with former Bulls front-man, Scott Skiles. Skiles demonstrated the same defensive mindset for the Bulls from 2003 through 2007. The intense and gritty Skiles was terminated after losing favor with the organization and its players, which was reflected by a terrible start in his last season. While Skiles’ hard-nosed mentality lingers with Thibodeau and risks alienating players, their situations are mutually exclusive. Skiles never had as much success as Thibs nor experienced the same type of support from his players. Nevertheless, the organization remains apprehensive to repeat their mistake of extending Skiles like a scorned lover too immature to move on and trust again. In an offseason marred by Derrick Rose’s rehab, the Bench Mob’s untimely death, and mediocre roster additions at best, the Bulls biggest free agency fail may be their inability to extend Thibs. 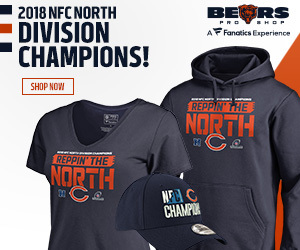 While Rose and the second unit were obviously instrumental to the team’s success, they were all able to thrive under the instruction of arguably the best head coach in the league. If the Bulls’ front office decides to hold off on a contract extension until after the season, they run the risk of Thibs’ departure and effectively destroying the foundation of the team’s success without a worthy replacement on deck(?). Fortunately for fans, there is still time for the Bulls to salvage this travesty and recognize Thibs’ value by offering the head coach what he deserves. He’s won how many NBA titles?